SAFTA (South African Film & Television Awards) nominated actor and Stand-up comedian Trevor Gumbi hosted Mzansi Magic's Headline, of which he was head writer, presenter and voice-over artist. This glamorous magazine show brings viewers closer to celebrities in South Africa. He acts on Mzansi Magic’s critically acclaimed drama series Rockville, presents Mzansi wethu’s game show “Lucky Truck”, writes and stars in SABC 1's sitcom Ses'top la which is a spin-off of the hugely successful City Ses'la. Trevor hosted Mzansi Magic's travel show Msawawa True South with Trevor Gumbi. To add to Trevor Gumbi’s television credits, he also writes, directs and does voice-overs for VUZU TV’s hit celebrity entertainment show, 10 over 10. Trevor Gumbi starred in the John Barker film 31 Million Reasons. Trevor Gumbi has recently been voted one of South Africa’s Twitter Kings, by Cosmopolitan magazine readers in January 2011 issue available 15 Dec 2010. Trevor Gumbi is widely recognizable as the character he plays in Vodacom's Brother Ubuntu Freedom ads & the voice of the foul in Hippo insurance ad campaign and was a Senior Script Writer on SABC 3's political satire talk show Last say on Sunday. Trevor has voice over experience on ETV's animated series, Jozi Zoo, can be heard doing skits on 5fm as The black guy at a braai and enjoyed success staring on his TV skit show for the Vodacom Super 14 rugby season as Offside Vilakazi on The desk with Offside Vilakazi and was seen weekly on SABC 1 celebrity entertainment show The Real Goboza. Trevor Gumbi's underlying charm offsets his assertive energy on stage, as he brings to the fore some politically uncomfortable issues and delivers them with hilarity. With John Vlismas, he co-hosted a multi-day conference for Nando's in later 2005 and performed for a large internal launch for McDonalds in 2006. 2006 saw him as a performer in the FNB Life start campus road show, travelling to tertiary campuses countrywide. While outspoken and sometimes controversial, Trevor Gumbi is a firm favourite in the corporate market, where he can be found entertaining executives and their staff with tailored material, proving that he has the ability to adapt rapidly and appropriately for diverse audiences. 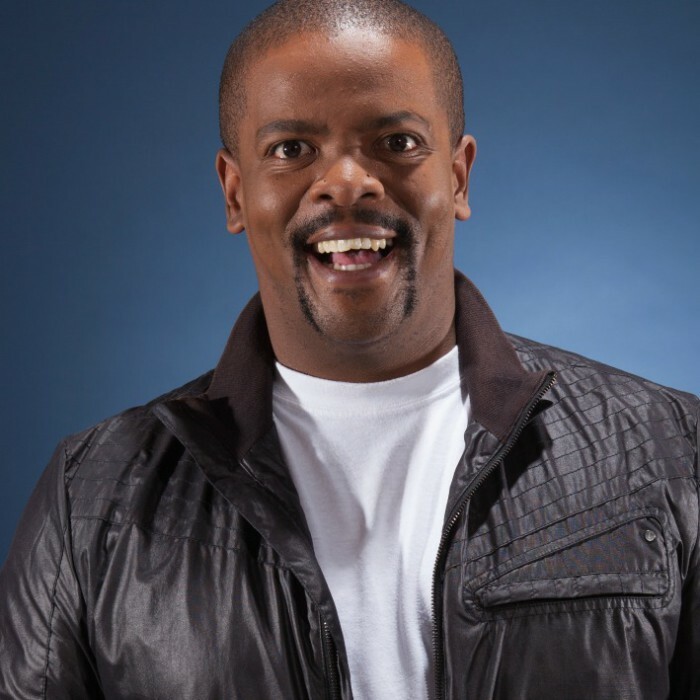 Trevor Gumbi has had people laughing at several major comedy events in the country, including performing at Kings & Queens of comedy, Oppikoppi, Rocking the daisies, Kingsize comedy jams, Blacks Only, Laugh out Loud, Arts Alive comedy festival and many, many more.